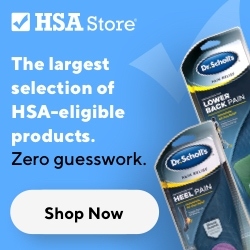 An HSA works with a high deductible health plan (HDHP), and allows you to use before-tax dollars to reimburse yourself for eligible out-of-pocket medical expenses for you, your spouse and your dependents, which in turn saves you on taxes and increases your spendable income. You and your employer can deposit money into your HSA account, up to an annual per-person or family limit set by the IRS. When you enroll, an account will be created for you at a sponsor bank. You’ll be given access to a secure, easy-to-use web portal where you can track your account balance, view your investment accounts and submit request for reimbursements. An HSA is yours. Funds in your HSA account stay with you, even if you change jobs. Contribute tax free. An HSA reduces your taxable income. The money is tax free both when you put it in and when you take it out to cover qualified medical expenses. Grow funds tax free. An HSA grows with you. If you maintain a minimum balance of $2,000 your additional funds may be invested in mutual funds yielding tax-free earnings. Funds can be withdrawn anytime for medical expenses. The amount you save in taxes with a Health Savings Account will vary depending on the amount you set aside in the account, your annual earnings, whether or not you pay Social Security taxes, the number of exemptions and deductions you claim on your tax return, your tax bracket and your state and local tax regulations. Check with your tax advisor for information on your participation will affect your tax savings.